The Airports Company of SA (ACSA) briefed the Committee on initiatives to improve airlift in SA to boost tourist arrivals. In 2017, ACSA contributed R9.5bn to SA’s economy, supported 14 950 jobs and supported R2.8bn of income to workers in SA. One of the key objectives of the Airlift Strategy was to develop new and existing routes by new and existing airlines. Over 85% of flights departed and arrived from Cape Town International, King Shaka International and OR Tambo International Airports and the three were aptly named the golden triangle. Members were given insight into top route opportunities that were there for the taking for the three major airports. Airlift Strategy key successes for Cape Town International, King Shaka International and OR Tambo International Airports were highlighted. These included for OR Tambo flights to Rome and Madrid. For Cape Town International it was flights to Zurich, Hong Kong and Munich and for King Skaka International it included flights to London and Dubai. Key challenges related to airlift included funding, external dependencies on airlines and the industry, commitments from stakeholders and also obtaining tariff permission. Members were provided with an understanding of airport charges and how they were calculated. Airport charges for domestic, regional and international tickets were R87, R181 and R238 respectively. ACSA felt that airport tariffs charged on an air ticket was unlikely to influence a traveller’s behaviour. Members commented that the ACSA had somewhat of a chequered past over the last twenty years. ACSA was asked how it placed itself on cost effectiveness when compared with its counterparts internationally. How did ACSA fare economically and financially? From the presentation members pointed out that they were unable to get a sense on what ACSA’s return on investment was. What were ACSA’s annual profits? Members asked whether the ACSA was operating soundly. Members said that if ACSA was making much more profits than its international counterparts was then the logical conclusion could be drawn that its taxes were far too high. The feeling generally in SA was that airport taxes were far too high. Had international benchmarking been done to justify the high tariffs? The ACSA was asked how it decided on where to open up airports. Was it the Department of Transport (DoT), the Minister of Transport or was it the ACSA itself who decided? Members were particularly interested in plans for Umtata. ACSA was asked why airlines were going out of business. Was it due to a lack of funding? Members pointed out shortcomings by the ACSA’s service providers on the provision of services. The service providers included Menzies, Bidvest etc. Services inter alia covered the transport of passengers from terminals to aircrafts and vice versa. The concern was that there were numerous complaints around how disabled persons were treated. Members said that the attitudes of assistants were atrocious. Assistants were apparently instructed to dump disabled persons at the edge of terminal buildings. Disabled persons had to find their own way from there on. The excuse given on why this was done was that there were insurance issues to consider. ACSA was asked how it handled baggage pilfering. How did the ACSA market career opportunities that it had? When airlines took on new routes the ACSA was asked what role it played on incentives offered to airlines. The Chairperson felt that the ACSA ought to lead discussions as airports was its domain. With what was airlines incentivised? It went without saying that there had to be benefit to airlines when it took on new routes. She also felt that when ACSA contracted service providers to perform services it should be able to influence how they conducted themselves at airports. Issues had to be imbedded in contracts. Contracts also had to comply with South African legislation. Members were concerned that persons working on airport premises were not directly employed by the ACSA but were employed by labour brokers. ACSA was asked to look into the possibility of a Cape Town to Polokwane route to be established. The disadvantage presently was that there was only one airline operating at Polokwane and it was very expensive. Members asked the ACSA to ensure that security checks at different airports should be consistent. At some airports certain security checks were done whilst at others it was not. Members raised concern around congestion at airports, especially at OR Tambo International Airport. 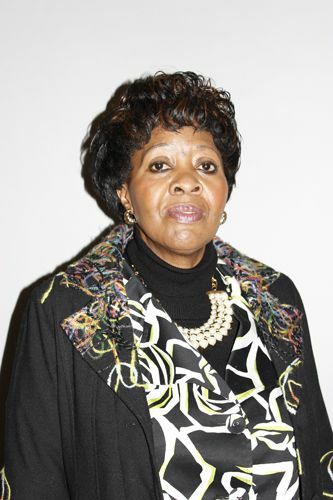 The Chairperson observed that the ACSA seemed to be doing well on infrastructure so she could not understand what the cause for the congestion was. Immigration regulations could not be solely to blame. ACSA was asked to address the Fireblade issue which was in the media. Members asked what the relationship between airlines and the ACSA was. Members stressed the need for SA to attract more routes. Visible growth needed to be seen. The ACSA was asked that if an airline had no landing rights where they were rerouted to. The Chairperson commended the ACSA on its visibility and presence in other countries. It spoke to other countries appreciating the ACSA’s business model. ACSA was also commended on its work with provincial and municipal agencies. Good models needed to be replicated to small airports. A geographic spread was needed. She pointed out that the ACSA’s Annual Report spoke about a 20% drop in profits, that revenue had decreased and that there was a 50% reduction in tariffs. How would all of this affect the business model of the ACSA in the future? The Chairperson said that she assumed that the ACSA collected data at airports on how many people landed, how many made connecting flights etc. What was the relationship between ACSA, SA Tourism and Statistics SA on data collection and as a whole? Mr Bongani Maseko, Chief Executive Officer (CEO), ACSA, said ACSA had a geographic footprint in India, Ghana and Brazil. One of the key objectives of the Airlift Strategy was to develop new and existing routes by new and existing airlines. An Airlift Framework was put in place which had a route development committee structure with stakeholders from the airport, tourism agencies, local municipalities, economic and rural development agencies and business chambers on it. Over 85% of flights departed and arrived from Cape Town International, King Shaka International and OR Tambo International Airports and the three were aptly named the golden triangle. Members were given insight into top route opportunities that were there for the taking for the three major airports. Benefits of the Cape Town Air Access (CTAA) initiative since its inception in 2015 included landing thirteen new routes and eighteen route expansions. In addition international seat capacity had been doubled at the airport with 1.5m seats being added. An indirect benefit was that there was direct tourism spending of $400m for the local region. Airlift opportunities for Nelson Mandela Bay Airport were also touched on. On secondary airports outside the golden triangle regional connectivity was below acceptable levels thus constraining mobility. The golden triangle remained the anchor for regional airports connectivity. For the future, Braam Fischer Airport in Bloemfontein was earmarked as an anchor for regional connectivity. Airlift Strategy key successes for Cape Town International, King Shaka International and OR Tambo International Airports were highlighted. These included for OR Tambo flights to Rome and Madrid. For Cape Town International it was flights to Zurich, Hong Kong and Munich and for King Skaka International included flights to London and Dubai. There were some key challenges related to airlift too. These included funding, external dependencies on airlines and the industry, commitments from stakeholders and obtaining tariff permission. Airport infrastructure issues like congestion and capacity, compliance and compatibility as well as efficiency and technology were highlighted. Members were given a comprehensive breakdown of infrastructure developments that were taking place at the three major airports as well as others. On the impact of airport tariffs on tourism members found out that interestingly enough airport tariffs only accounted for 5% of an airline’s direct operating cost. The Committee was given a percentage breakdown of an airline’s cost structure. Fuel and oil was the highest at 33%. Members were also provided with an understanding of airport charges and how they were calculated. Airport charges for domestic, regional and international tickets were R87, R181 and R238 respectively. ACSA felt that airport tariffs charged on an air ticket was unlikely to influence a traveller’s behaviour. Mr G Krumbock (DA) stated that the ACSA had a checkered history over the last twenty years. The issue of airport charges and taxes had come up numerous times. According to the ACSA the biggest cost was jet fuel. ACSA was asked how it placed itself on cost effectiveness when compared with its counterparts internationally. How did the ACSA fare economically and financially? From the presentation he had not gotten a sense of what the ACSA’s Return on Investment (ROI) was. What was ACSA’s profits annually? Was ACSA operating soundly? If ACSA was making much more profits than its counterparts overseas then the logical conclusion could be made was that the ACSA’s taxes were too high. Mr Maseko conceded that the ACSA had of late not done benchmarking. ACSA’s charges changed every year. A departing charge came to R232 which translated into $18. ACSA did not determine charges. Charges were determined by an independent regulator who was appointed by the Department of Transport. This was to ensure that the ACSA was not monopolistic. Data on benchmarking could be provided to the Committee. ACSA was the cheapest in Africa. In the Democratic Republic of Congo (DRC) a departing charge was $75. Landing fees, parking fees etc were all determined by the regulator. The challenge was that the ACSA had to remain profitable. Members were given an explanation on the model that the ACSA used. Say for interest sake ACSA needed to build a new runway. Where would the funds come from? ACSA would consult with airlines. The regulator would then allow the ACSA to increase charges to cover the cost of the construction. He noted that when the ACSA was busy with construction then charges would go up. Charges would not increase if they were not building. Figures on international benchmarking would be provided to the Committee. Ms V Bam-Mugwanya (ANC) asked how ACSA decided on where to open up an airport. She was particularly interested in plans for Umtata. Who made the decision? Was it the Department of Transport, the Minister of Transport or ACSA? She asked whether the ACSA was funding the other services working within the ACSA. To whom did funding apply? She spoke to the matter of airlines going out of business. Were they lacking funding? She asked who got funded. She pointed out the shortcomings of services provided by the ACSA’s service providers of the likes of Menzies and Bidvest etc. Services were provided amongst others to transport passengers from aircrafts to terminals and from terminals to aircrafts. The concern was that there were numerous complaints by passengers about how disabled persons were being treated. The attitudes of the assistants were atrocious. Assistants were apparently instructed to dump disabled passengers at the edge of terminal buildings. Disabled passengers had to find their own way from there. There was some excuse being given around insurance complications. On luggage pilfering she asked how the ACSA was handling it. How did the ACSA market career opportunities that it had? She noted that it seemed as if the ACSA had more males than females in senior positions. Mr Maseko admitted that the ACSA was not always working efficiently as it should. On the Umtata matter he said that for the last two years ACSA was waiting for the Eastern Cape Province to sign an agreement with it. He was not sure what the holdup with the province was. ACSA was ready and able. ACSA had also had two meetings with the Limpopo Province. ACSA was not funding other services. ACSA was self funding. The only services that the ACSA funded were infrastructure and the services it provided. He on ground handlers like Menzies, Bidvest and Swissport said that the ACSA had received complaints from passengers. A National Disability Forum was formed. All stakeholders formed part of the forum. There was a problem and it was being looked into. On the bad attitude of staff he was glad to report that fortunately licences to service providers were coming to an end. Licences were for five years. When renewals were to take place issues would be addressed in conditions of licences. He would ensure that there would be a clause around employment practises. The use of labour brokers was now banned. Labour brokering fell under the watch of the Department of Labour. Permanent staff had to be used by service providers. Baggage pilfering was not a problem with all airlines, only with specific airlines. Some airlines had strict requirements. Some airlines penalised their handlers. There was a forum to manage it. Baggage pilfering had been reduced. On ACSA staff the representation between males and females was balanced. In total, ACSA had 3000 employees. The Chairperson understood that there to be a new route from Durban to Heathrow. Members were aware that incentives had to be given to airlines. What role did the ACSA play on the incentives? ACSA should be leading the discussions as airports were its premises. With what was airlines incentivised? There should after all be benefits for airlines. She said employment practices should be embedded in ACSA’s contracts with service providers. Contracts had to comply with South African legislation. Mr Maseko responded that the ACSA was prohibited from giving direct incentives. ACSA however did fund Wesgro and Dube TradePort. The funds could be used to do market research. The provinces could be provided with the data. Ms E Masehela (ANC) referred to the slide which spoke about ACSA supporting 14 950 jobs in the 2017 financial year and asked for an explanation on the slide. She noted that there was only one airline operating from Polokwane and it was very expensive. From Cape Town to Polokwane was there a chance of a route being established? On security checks at terminals there was no consistency. Her head scarf was always checked at OR Tambo International Airport but not at Cape Town International Airport. How would people in rural areas be able to access the jobs that the ACSA had on offer? Concerns were raised around congestion at airports especially at OR Tambo International Airport. Mr Maseko explained that the 14 950 figure comprised of 2 992 direct employees (not including contractors), 5 519 jobs as a result of supply chain spending and 6 440 supported through spending of ACSA employees and suppliers’ employees. On Polokwane having one airline, he said that the same was true for small towns like Upington and Kimberley. ACSA tried to work with airlines. ACSA would look at figures on perhaps a flight between Polokwane and Cape Town. If a business case for it could be made it would be taken to airlines. He was aware of the congestion at OR Tambo International Airport. He had received many complaints. There were parameters that acted as a guide. For domestic passengers the wait should be between 3-5 minutes in a line. It was especially busy on Monday mornings. The ACSA was introducing interventions. Ms Refentse Shinners Group Executive: Corporate Affairs stated that there was a career development programme in place called the Joint Aviation Programme. ACSA also worked with South African Airways. Career exhibitions were held in rural areas. There was also a Civil Aviation International Day. A great deal was done on career awareness. Part of the ACSA’s corporate responsibility programmes was education. So career awareness was done. Mr Maseko added that the ACSA partnered with Air Traffic Navigation Services (ATNS) and Comair Airways on an aviation academy. It was for students fresh out of school. An interesting fact was that SA had a surplus of pilots and they were being poached in the Middle East. Ms S Nkomo (IFP) asked for clarity on the Fireblade issue that was in the media. On the congestion at airports she asked about the relationship that the ACSA had with other role players. What was the relationship between the ACSA and airlines? What type of jobs was being referred to? Was it permanent jobs? She asked about persons working on the airport premises not being directly employed by the ACSA. These persons were employed by labour brokers. It had to be borne in mind that unemployment was high in SA. She felt that the 14 950 jobs that the ACSA supported was far too little. It was a well known fact that airport tariffs in SA were far too high. Had international benchmarking been done to justify the high tariffs? On airport infrastructure issues she asked where an aircraft did not have landing rights where did the ACSA reroute them to. There was a need for SA to attract more routes. Visible growth needed to be seen. Mr Maseko, on the Fireblade matter, explained that it was a fixed based operator at OR Tambo International Airport. Fireblade wished to obtain an international licence but it was required to get clearances from the Department of Transport, the South African Revenue Services (SARS), the Civil Aviation Authority and the ACSA. Fireblade did have issues with the Department of Home Affairs. He would not comment on what was said in the media. On congestion of runways by airlines he noted that OR Tambo International Airport was very busy. It was especially so given the issues around SAA and the reduction in flights. There was however capacity at OR Tambo International Airport at present. His personal view was that paying an $18 charge on departure was not expensive. The international benchmark study would shed light over the matter. On where airlines which had no landing rights would be rerouted to he explained that it was governed by bilaterals from the Department of Transport and the Civil Aviation Authority. Airlines applied to the ACSA for a slot to land and take off. The Chairperson commended ACSA on its visibility and presence in other countries. It spoke to other countries appreciating the business model of ACSA. Passengers wished to have a seamless experience with no hiccups. If people had a bad experience then they would not return. Congestion at airports had to be sorted. It seemed as if the ACSA was doing good work on infrastructure which begged the question of what seemed to be the problem around congestion. Congestion was not only a problem on the international side but on the domestic side as well. It could not be solely due to the immigration regulations. ACSA was asked what the future held. The Chairperson noted that the ACSA’s Annual Report had spoke about a 20% drop in profits. There was also a decrease in revenue and a 50% reduction in tariffs. How would all of this affect the business model of ACSA in the future? She also commended the work that the ACSA did with provincial and municipal agencies. Good models needed to be replicated to small airports. A geographic spread was needed. Areas like Bloemfontein and Polokwane should also get attention. On data collection in respect of SA Tourism and Statistics SA, she assumed that the ACSA collected data at airports. ACSA therefore should have data on how many people had landed, made connecting flights etc. Over the years the Committee had experienced challenges around data that was not forthcoming. What was the ACSA’s relationship with SA Tourism and Statistics SA? How did the ACSA see the future for statistical data collection? Mr Maseko said that unfortunately people were not having a seamless experience as they should be. There were challenges on the international side around the processing time of the Department of Home Affairs. He conceded that there was congestion at domestic terminals as well. On what the future held he said that in relation to Wesgro and the Dube TradePort amongst others things looked good for the future. It was about how the ACSA worked better with other tourism agencies. Only when data was taken to airlines would they understand what routes were needed. The ACSA did not collect data on international arriving passengers. It did collect data for domestic. He believed that the Department of Home Affairs collected data. The ACSA worked with SA Tourism on prioritising tourism domestically and internationally. There was limited interaction with Statistics SA. The Chairperson concluded that tourism worked for everyone and that it was low hanging fruit for the taking.